Summertime is a wonderful time for enjoying fresh produce and easy meals. Get your grills started and add these five dishes to your menu for budget friendly and healthy meals. If you don’t have access to a grill, you can find several crockpot recipes that are easy to prepare that won’t heat up the house. Tomatoes and cucumbers are very affordable in the summer. Both are also easy to grow if you have the space for a garden, which makes them even more affordable. For this recipe, mix together one cup of chopped tomatoes and one cup of chopped cucumbers. You can add a ½ of a red onion if you prefer, too. In a separate bowl, mix 2 parts olive oil with 1 part vinegar. Add a squeeze of lemon and a dash of salt. Drizzle this over the tomatoes and cucumbers and garnish with feta cheese and fresh, chopped basil. Want to make this a heartier meal? Just add a cup of cooked and cooled brown rice. This sweet and savory salad makes a great side dish, and grilled chicken strips can be added for a complete meal. Make one box of couscous and let it cool. Then mix it with a jar/tub of bruschetta (the one from Trader Joe’s is delicious), one cup of shredded cheese, one cup of slivered almonds, ½ cup of dried cranberries, and 2 cups of arugula. The mixtures of flavors is quite tasty. Almost everything tastes better when grilled. Skewers help stretch meat and make vegetables more appealing. Mix your favorite cuts of meat with summer vegetables and fruit. One tasty combination to try is shrimp, chicken sausage, pineapple chunks, and zucchini. Just drizzle with a little olive oil and lemon juice. Another yummy combination to try is chicken breast, bell peppers, and onion. Drizzle with honey when they’re hot off the grill. Beans cost pennies to make, but if you’ve already eaten them all winter long in chili and soups, then the last thing you might want to eat is more beans. Baked beans are a sweet, summer treat and can be spruced up with sausage slices for a quick, seasonal meal. Or you can always try sausage and peppers! When you don’t want to heat up the kitchen or have dirty extra dishes to clean, then a variation of a hobo meal is the perfect solution. Just lay aluminum sheets out for each person. Place a tablespoon of your choice oil in the center. Then add raw, seasoned ground beef, chopped potatoes, chopped carrots, and an ear of corn. Bundle up the foil into a packed and grill it for 45 minutes until the meat and vegetables are done. You can switch up your meat, vegetables, and seasonings for several new meals. Keep things simple this summer. Spend less time cooking and sweating over fancy dishes, and more time eating simple and delicious food. There’s also nothing wrong with eating a bowl of watermelon and grilled chicken for dinner or easy sandwiches. 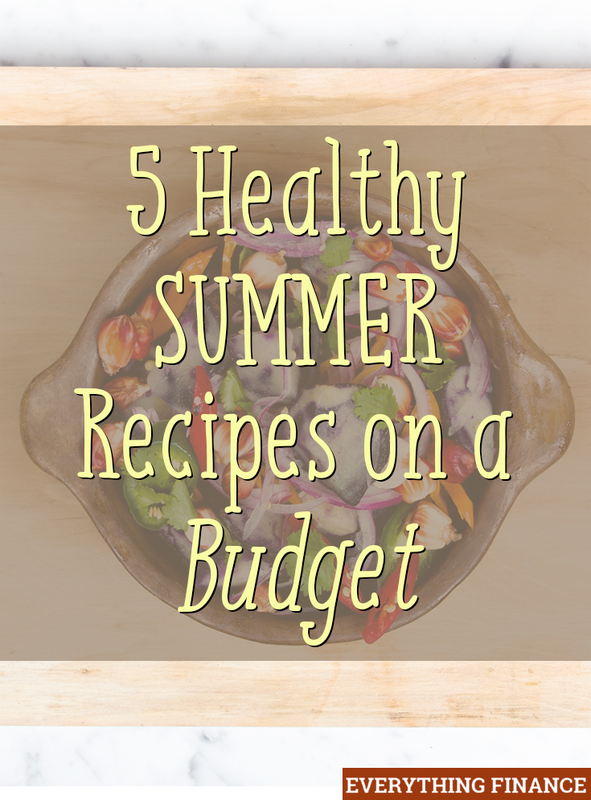 What healthy and cheap meals do you like to eat during the summer?